Galway United remain quietly optimistic about making an impact in the SSE Airtricity League, but tomorrow's seasonal opener away to St Patrick's Athletic will be a demanding assignment at Richmond Park (7.45pm ). 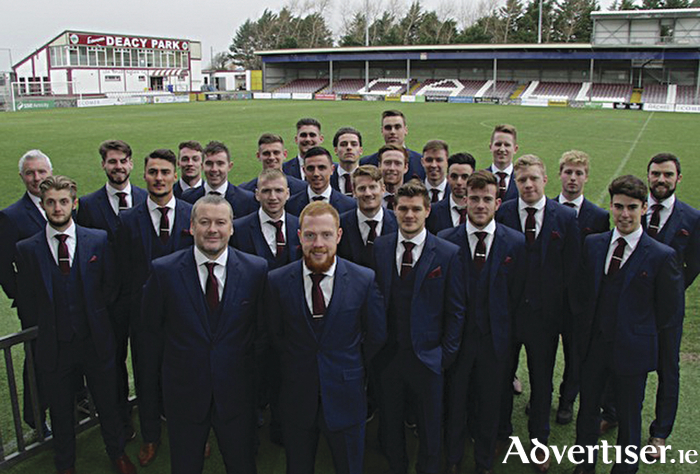 Last year United's return to the top flight proved to be a lively adventure which included an EA Sports Cup final appearance, but one serious issue manager Tommy Dunne hopes to address in 2016 is how the team performs against skilled opposition such as the Saints. In the 12 matches against the top four, Dundalk, Cork City, Shamrock Rovers and St Patrick's, United only registered one point. Most of the 11 defeats were comprehensive, while the solitary draw happened after Dundalk had already claimed the title. Dunne believes United's squad is more durable now which should be a factor in the coming weeks and months. United beat NUIG, UCD, and Longford Town in pre-season, while suffering losses to Shelbourne and Limerick FC. The results in those matches did not overly concern Dunne. During the winter months Dunne and those running the club worked hard to stitch the current squad together. The return to Galway colours of Vinny Faherty will be a welcome sight, while some of the other recent recruits are also expected to be involved in Inchicore. John Sullivan adds physical presence to the United midfield, while Kevin Devaney and Ruairi Keating will be keen to impress. Stephen Folan's excellence in the underage grades in Galway was rewarded with a cross channel switch to Newcastle United. Folan featured at reserve team level for Newcastle before enjoying two decent campaigns in the Limerick FC shirt. Subsequent stints with Sligo Rovers and Cork City ensure Folan is well versed in the League of Ireland game, so his experience and ability to pass the ball from defence bolsters United's options considerably. Armin Aganovic is ruled out of the Pat's fixture through injury, but Dunne is adamant the Swede can impress at this level. “I think we have a bit more depth in the squad. That is what we set out to do over the winter months. We need to progress as a club and a team. I feel we can do that this season with the players we have.